Powerful, easy-to-use and low cost toolset for CD/DVD/BD/HDD/Flash data recovery. Burn discs, erase them and everything in between. 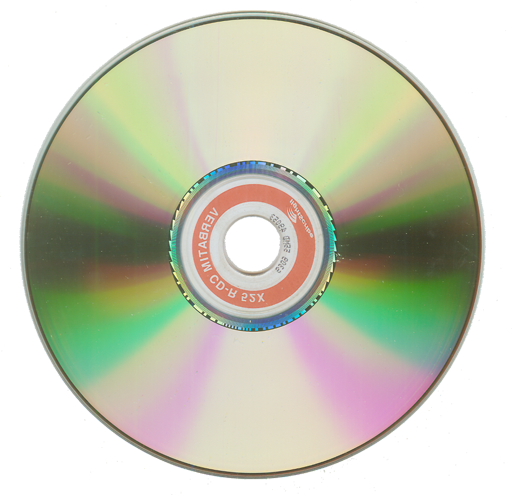 Effectively retrieves the lost data from the discs created by CD/DVD/Blu-ray writing software, such as well-known Sonic (Roxio, Adaptec) and Ahead Nero software packages, CeQuadrat's PacketCD, DLA, B's CLiP and many others. Reads unfinalized ("open", "left as-is") CDs and DVDs, including the discs with Microsoft's Live File system created under Windows 7, 8 and Vista. Includes a fault-tolerant UDF reader for all Windows operating systems. No need to look for UDF Reader Driver in order to manage old discs on your new computer under Windows 7, 8 or Vista. Retrieves the lost video and photos off unfinalized DVDs created by a wide set of standalone devices that record directly onto discs: Hitachi, Canon, Panasonic, Samsung and Sony DVD camcorders as well as standalone video recorders. Converts the recovered VOB or VRO video data into generic MPG files without loss of quality. In contrast to VOB files, MPG ones can be viewed properly with the help of Windows Media Player. Finds and retrieves accidently deleted files, files located in the corrupted folders, files on incorrectly closed disks, etc. Retrieves the lost pictures, video and other types of files from flash memory cards, such as SmartMedia, Memory Stick, CompactFlash, xD Picture Card and other flash memory drives. Provides data recovery on Hard Disk Drives (HDD), Solid-State Drives (SSD), floppy disks and other types of Windows disks/drives with FAT / NTFS file systems. Examines disc sectors at low level. Displays the sector content in text, binary, hexadecimal or unicode mode. It also scans all sectors of a disc (selected track or file) for particular data. Recommended for engineering purposes and also for law enforcement and forensic investigators. Provides direct access to hardware, bypassing the Windows File System. Looks for the lost tracks (sessions) every time when you insert a new disc into the drive. Supports SCSI Pass Through Direct (SPTD) layer as alternative method under Windows 2000/XP/2003/Vista/7/8. NTFS / FAT12 / FAT16 / FAT32 / exFAT (for hard and flash drives, memory cards and floppy disks). Added Extended Data Recovery for a wide set of Windows drives: hard disks, ssd drives, floppy disks, flash memory cards and other drives with FAT and NTFS file systems. Built-in NTFS and FAT readers automatically find deleted files (NTFS Undelete and FAT Undelete options). Released support of exFAT (Extended File Allocation Table), a new Microsoft 64-bit file system optimized for flash drives. allows to use many different drives on the different computers to read the bad disc (CD, DVD or Blu-ray one), adding the data that each new drive can read. skips the sectors that have been successfully read before. extremely increases a reading speed if you manage your disc many times. works with audio and mixed (data + audio) CDs too. Added an ability to get a few copies of Recover DVD Video option, running CDRoller from the Command Line with "/rdv" and "/drive letter" parameters. For example, CDRoller.exe /rdv /d . That allows to work with a several drives simultaneously and speed up the data recovery if you have a lot of problem DVD-video discs. Examine Sectors significantly updated. Added an ability to apply External Hex Editor for detailed analysis of sectors data on CD, DVD or Blu-ray discs. If you're constantly using a professional hex editor (WinHex, Hex Workshop, HxD, etc.) for engineering purposes, you can now connect it to CDRoller and review the sectors data in the most suitable manner. Moreover, if you've created CDRoller Image before, all changes in the sectors data saved by external editor will modify the image file. Further, you can recover files/folders, or extract a whole track(s), or create ISO Image File, and then burn a new disc with modified data. In other words, you have now an opportunity to edit as disc files as separate sectors without leaving CDRoller! The old Test Disc updated. Added expected support of UDF discs. Extract To ISO Image File significantly updated. Added support of the different file systems (UDF, ISO/Joliet, FAT 32), multisession discs and flash memory cards. Added DVD Media tab with an additional info for advanced users. fixed a bug for write-once UDF disc (CD-R, DVD-R, DVD+R, DVD+R DL, DVD-R DL, BD-R) when a track was marked as UDF under TOC Tracks tab but UDF file system was not placed on this track. Fixed an old bug when some dialogs accidently hid their components under Windows Vista/7.